Most first-time home buyers are familiar with various types of insurance (auto, life), but are unaware of what title insurance is and the role it plays in real estate transactions. In the rush to close such transactions as quickly as possible, title insurance is typically an area that consumers commonly overlook. Unknown defects (such as outstanding liens or encumbrances) in a title can result in additional costs in the future or even invalidate a home buyer’s right of ownership in the property, and might also invalidate the lender’s security interest in the policy. Title insurance policies will cover the insured party for any covered losses and legal fees that might arise. Title insurance agents/companies search public records to develop and document the chain of ownership of a property. If any liens or encumbrances are found, the title company might require the home buyer to take steps to eliminate them before issuing a title policy. Title insurance agents might also hold money in escrow and perform closing services for an additional fee. Title insurance policies protect against losses arising from events that occur prior to the date of the policy, which is the date of closing. A title policy is usually paid for with a one-time premium that is handled at the closing of the real estate transaction. Lenders — If a mortgage is obtained in order to purchase property, nearly all lenders require that the home buyer purchase the lender’s title insurance policy for an amount equal to the loan. A lender’s policy is issued to a mortgage lender. The policy provides the lender protection from covered losses. Owners — Either the home seller or the home buyer may buy an owner’s policy. In many areas, sellers pay for owner title policies as part of their obligation in the transfer of title to the home buyer. The party paying for the owner’s policy can be negotiated during the purchasing process. An owner’s policy is issued to a home buyer, and provides the home buyer protection from covered losses. Although home buyers are free to shop around for a title agent or a title insurer, many home buyers do not. Because of unfamiliarity with title insurance, home buyers tend to defer such decisions to lenders and/or real estate professionals who are parties to the home buying transaction. As a result, conflicts of interest can occur if the entities making such decisions have a financial interest in a title agency/title company. Although a title insurance company will most likely be provided for you during the mortgage transaction process, you are not obligated to use the suggested title company. Inquire about the services and fees included in the title insurance premium and any fees (e.g., cost of search and examination, closing services, etc.) that may be charged to you separately. A lender policy only covers a lender’s loss, it does not protect the home buyer from losses arising from defects in title. Consult with a local, reputable real estate attorney not involved in the real estate transaction to find out if it is in your best interest to purchase an owner’s title insurance policy. Inquire about any discounts available on title insurance policies. Premium discounts might be available if both owner’s and lender’s policies are purchased from the same title insurance company or if you are refinancing your loan. Read all title insurance documents provided at closing, including the fine print. Ask questions if any items are unclear; or if any terms, conditions or amounts are not in line with those provided in previous discussions. If you believe that the title agent or title company in a real estate transaction is not following standard business practices (e.g., unexpected or undocumented fees), you can report the activity to the Delaware Department of Insurance. 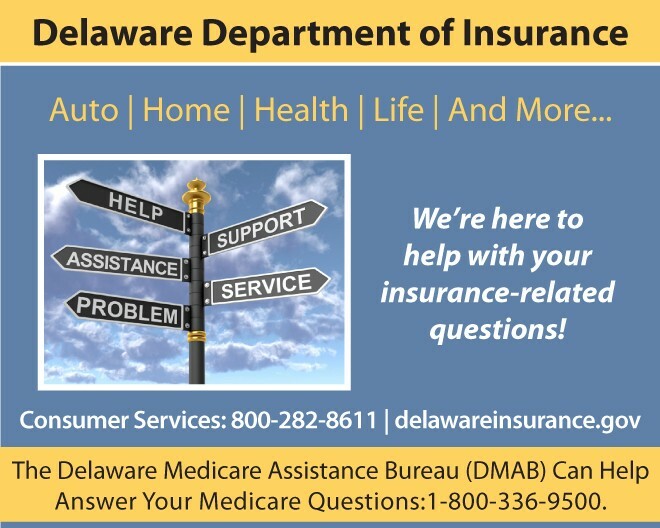 The Delaware Department of Insurance (DOI) is the state’s largest consumer protection agency and is responsible for regulating the insurance industry and protecting consumers. DOI is tasked with numerous responsibilities: regulating companies and ensuring they have the ability to pay claims; reviewing, approving or denying rate requests submitted by companies; investigating and prosecuting insurance fraud; licensing agents and brokers; and assisting consumers with questions, complaints and claim issues. If you have a problem with your insurance company or agent that you can’t get resolved, call the Consumer Services Division at 800-282-8611.